Up to 1,100 jobs are expected to go at a Tesco call centre in Cardiff, the supermarket giant has confirmed. Tesco said it was consolidating its customer engagement centres (CEC) into a single site in Dundee, Scotland, where 250 jobs would be created. Economy Secretary Ken Skates said a package of support will be put together for those affected at the Heath site. Tesco said it needed to ensure its business is "sustainable and cost effective". The company is proposing to close the Cardiff CEC in February 2018. Tesco boss Matt Davies said the "retail sector is facing unprecedented challenges" and it had to meet the "changing needs of our customers". "To help us achieve this, we've taken the difficult decision to close our customer service operations in Cardiff," he said. "We realise this will have a significant effect on colleagues in the Cardiff area, and our priority now is to continue to do all we can to support them at this time." The Secretary of State for Wales, Alun Cairns said he understood it was a "commercial decision for Tesco" but that the news "will cause a great deal of concern" to workers. He said he was receiving regular updates from the company and is "committed to working with relevant agencies, local authorities and the Welsh Government". He said the government's priorities are to focus on "creating the right conditions for economic growth by exporting goods and services and attracting inward investment". "Today's news is another reminder of the importance of retaining jobs, promote business opportunities in Wales and to ensure our country remains a competitive place to do business," Mr Cairns added. Union USDAW divisional officer Nick Ireland said: "Tesco's Cardiff call centre staff are understandably shocked by the announcement of the company's planned closure, they are being briefed by managers this afternoon. "USDAW reps and officials are providing support to our members at this difficult time. "This is clearly devastating news for our members and will have a wider impact on south Wales, as so many jobs are potentially lost to our local economy." He said the union would enter consultation talks with Tesco to look at the business case for the proposed closure. 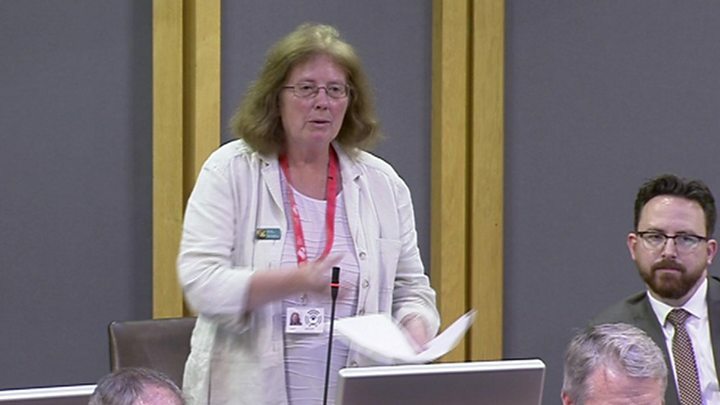 News of the closure was raised in the Senedd by Cardiff North Labour AM Julie Morgan. "This affects a lot of people in Cardiff North and in surrounding constituencies," she said. "It's been there for many years - I've visited it on many occasions. What can the cabinet secretary do with this dismaying announcement?" In reply, Economy Secretary Ken Skates said: "I have instructed my officials to put together a package of support for those who could be affected but we have also established a telephone conference call between Tesco, myself and the first minister." Mr Skates later said it was "devastating news" for the workers who are facing redundancies. "We will work in close collaboration with Tesco and the major support agencies locally, including Careers Wales, Jobcentre Plus, colleges and the local authority to deliver the best possible support for the workers facing an uncertain future." Welsh Conservatives leader Andrew RT Davies criticised the Welsh Government's response, calling it a "damning indictment" of its record on jobs. "It is scandalous that the cabinet secretary only found out about the decision 45 minutes before it was announced - when the Welsh Government should be far better connected to such a major decision," he said. "It comes after Barclays announced the closure of its mortgage centre in Llanishen - where 180 jobs were lost. "This could be the biggest single loss of jobs in Wales since 2009, and will be a huge blow to south Wales." Jo Stevens, MP for Cardiff Central, said she spent a day at the Cardiff CEC in 2014 and is "deeply concerned" with the announcement. "The impact of job losses on this scale will be felt not just in Cardiff but across the south Wales economy," she said. UKIP AM for South Wales Central, Gareth Bennett, said it was a "tremendous blow". "Tesco is a major employer in North Cardiff, drawing in people from the local area and beyond", he said. "I have written to Tesco to seek urgent answers from them about the proposed closure." Plaid Cymru has called on Tesco to clarify whether it has received any assistance to move to Scotland, or whether a cost-cutting decision has been made. Shadow Economy Secretary Adam Price said: "In recent years Cardiff has seen sustained growth in the retail sector, but we're now facing a difficult future in retail due to the weakness of the pound sterling and the prospect of increased food inflation. "The Welsh Government and Cardiff City Region need to take the future challenges in retail very seriously. "With call centres consistently being prioritised by the Welsh Government, we need to be reassured about the future of that industry and that type of work."